Whitney Wood, ‘”When I think of what is before me, I feel afraid”: Narratives of Fear, Pain and Childbirth in Victorian Canada’, in Rob Boddice (ed. 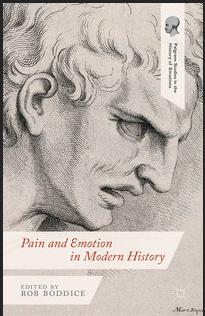 ), Pain and Emotion in Modern History (Palgrave Macmillan, 2014), pp. 187-203. This study of English-Canadian women’s private narratives of fear, pain and childbirth contributes to the still-embryonic historiography on emotion and pain by exploring one specific contextual example of the ambiguous relationship between the two. This entry was posted in Canada and tagged childbirth, emotion, fear, pain. Bookmark the permalink.